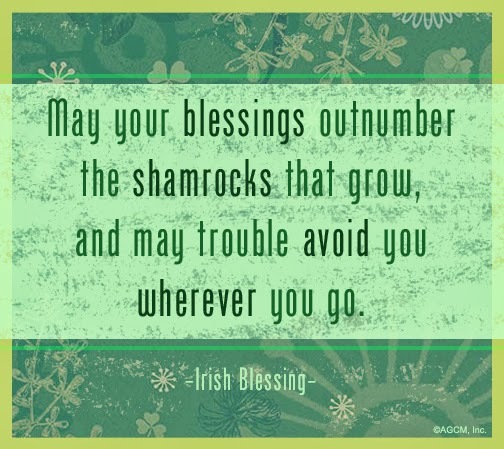 Today is one of our favorite days of the whole year: St. Patrick's Day! The status of the four-leaf clover, the brilliant green symbol of St. Patrick's Day, as a sign of good luck goes way back. Like wwwaaaayyyy back. In fact, the four-leaf clover was originally a symbol of good luck for the ancient Celtic druids. Why green? Green became synonymous with St. Patrick's Day after green clovers were worn to ward off the devil during the Irish Rebellion. St. Patrick would combine Celtic rituals with his teachings of Christianity. For example, he incorporated the Celtic use of bonfires to honor gods into Easter celebrations. There already was a small number of Christians in Ireland when St. Patrick arrived. The first St. Patrick's Day parade in Dublin was not held until 1931.